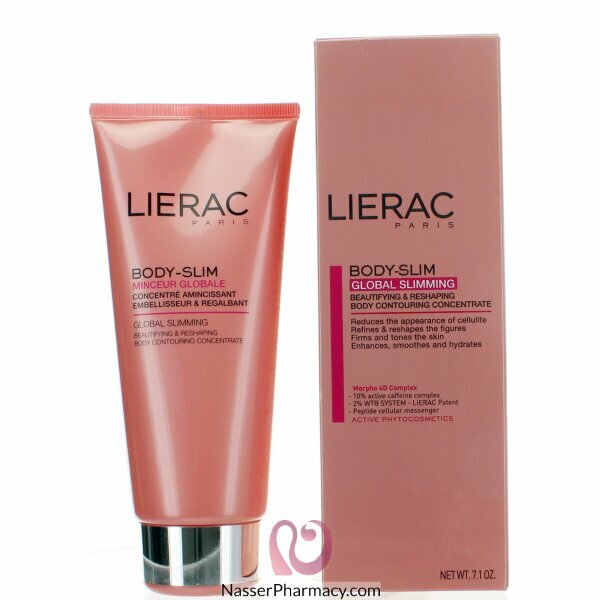 Lierac Global Slimming is a contouring concentrate that will help you effectively to refine and reshape your silhouette. A cellular messenger peptide (Peptide NGF Like) that will reactivate the cell metabolism at 3 levels of the skin simultaneously. WTB system which is a new complex composed of 3 actives (Sacred Lotus-White Willow-Biotechnologic Peptide) which is able to transform the adipocytes of fat-stocking into adipocytes of fat-burning. Day after day, cellulite is visibly faded, silhouette is refined and reshaped, the skin is firmer and more toned. To use: Massage morning and night onto problem areas (thighs, hips, buttocks).